The Gulag, a network of labor camps across the former Soviet Union, first came to the attention of the English-speaking world in 1974, with the translation of Alexander Solzhenitsyn’s Gulag Archipelago. Author Anne Applebaum estimates that as many as 18 million people passed through the Gulag between 1929 and 1953. And, as Lynne Viola has documented in her Unknown Gulag, an additional 2 million were accused of being kulaks—capitalist peasants—and exiled to remote, often uninhabited areas of Siberia and the Arctic as “special settlers,” with little more than the clothes on their backs. As might be expected in any population, many if not most of these individuals had children. Those whose parents were arrested and imprisoned were separated from their parents, often forever. Those whose parents were exiled to Siberia shared their parents’ fate there and were often the first to perish from hunger and disease. While memoirs such as Solzhenitsyn’s brought the knowledge of the Gulag to a wide, international audience, they unintentionally created the impression that the camps were a phenomenon restricted to male intel¬lectuals and dissidents. The reality was much broader and more varie¬gated. While intellectuals are much more likely to leave behind written evidence of their lives, only a small percentage of the Gulag population consisted of people with a higher education, according to historian Oleg Khlevniuk. 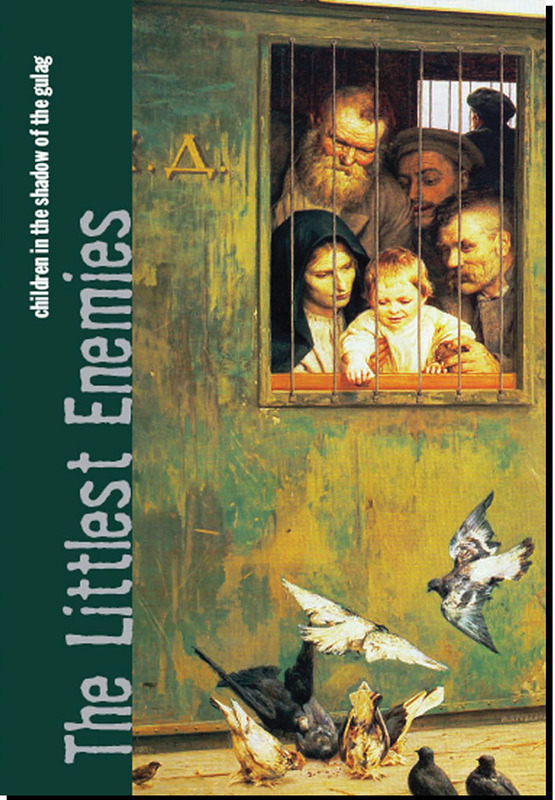 Additionally, once someone had been designated an “enemy of the people,” Soviet law authorized the imprisonment of that person’s family members, thus drawing countless women into the Gulag as well. Usually their children were taken from them and placed in orphanages under the jurisdiction of the secret police, where they were subjected to both neglect by an overburdened and understaffed bureaucracy and stig¬matization due to their social background. Children who were deported joined the special settlements with their parents; at one point, Khlevniuk reports, 40–70% of the population of the settlements consisted of children under the age of 14. The work in compiling and editing these documents performed by the late Alexander Yakovlev, one of the chief architects of glasnost’ under former Soviet Premier Mikhail Gorbachev, and by Semyon Vilensky, founder of the Moscow-based Vozvrashchenie Society, an organization dedicated to assisting camp survivors and preserving the memory of their experiences, has created the opportunity to balance the historical record by making accessible material from a population about whom the historical record is often silent. The stories of these children summon all of us to consider the effects of our political and social choices on the most vulnerable among us.